Do you want to go on an adventure but need the perfect apparatus to assist you with viewing objects from a distance? In this article we give you the lowdown on binoculars, supporting all outdoor activity enthusiasts. Binoculars are essentially two telescopes mounted together on a single frame, to provide a magnified stereoscopic view of distant objects. Binoculars use curved lenses shaped like a dome, which refracts light, giving the viewer a 3-dimensional image. To create the 3-dimensional image convex and concave lenses are used simultaneously. Some parts of the binocular were invented as early as the 12th century. Roger Bacon developed the first magnifying glass in 1250 which uses the same concept for the lenses used in binoculars. He wrote about how short-sightedness could be solved by using an object to magnify an item or newspaper when reading. After the fact, craftsmen would cut thin pieces of glass, setting them into frames so that people could wear them over their eyes thus leading to the invention of spectacles. The concept of the binocular was invented by a man named Hans Lippershey in 1608 who created the convex and concave lenses. He was asked to use his invention to create two telescopes and put them side by side. Hans did this but his invention was rejected as the lenses had poor magnification. The binocular went on to be perfected by an inventor named Ignazio Porro who created a prism system. A prism is a transparent piece of glass in the shape of a triangle refracting surfaces at an acute angle. This gives an image twice the magnification, as the two angles separate light into a range of color. Without this prism binoculars wouldn’t have been as popular, as they would be of sub-standard quality. A year after Hans Lippershey’s invention, Galileo Galilei, an Italian scientist went on to introduce the telescope to astronomy. With his invention, he was able to magnify up to 30 times enabling him to view objects as far as the moon. His invention is still in use to this day. All the parts and inventions mentioned above are used in manufacturing modern binocular technology. Today we’re able to use binoculars for several activities such as bird watching, opera, theater productions, hunting, military, and marine use. What Size Marine Binoculars Do I Need? Steiner is one of the leading brands in marine optics and with the Commander series there’s no limit to the features it provides you. 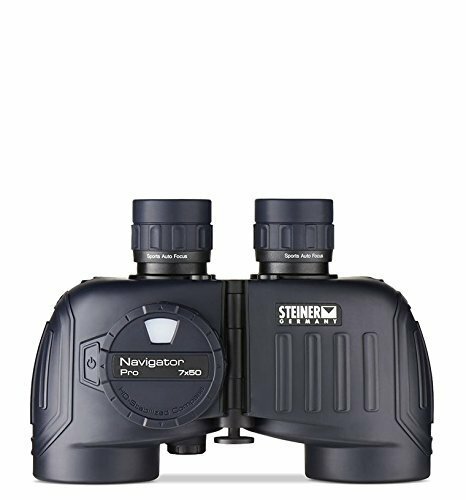 The Steiner Commander 7x50C binoculars make living on the water a breeze providing outstanding viewing quality with high contrast optics. The built-in HD compass provides safe travels for the aspiring voyager, and with its weather-resistant casing, you’re able to travel in any type of conditions. The Steiner Navigator Pro is perfect for the recreational boater giving you bright and clear images & reduced distortion commonly experienced on moving vessels. With its individual ocular adjustment, you can customize your focus to suit your viewing. The Navigator Pro is suitable to use in all weather conditions and has maximum durable housing. The tubes can also be refilled with nitrogen gas when the gas runs out to prevent fog and water damage throughout its lifetime. The Canon 10 x 42 is the first waterproof binocular manufactured by Canon. They’re suitable for various types of viewing such as astronomical, wildlife and marine use. This product comes with a padded case with a Neoprene strap, eyepiece rain guards and a one-piece push on objective cap. With the 4.2mm exit pupil, the binocular provides crystal clear clarity even in low light conditions. It is suitable for spectacle wearers as it has dioptric correction modification settings. You may have to buy an additional floating strap to make it even more user-friendly. 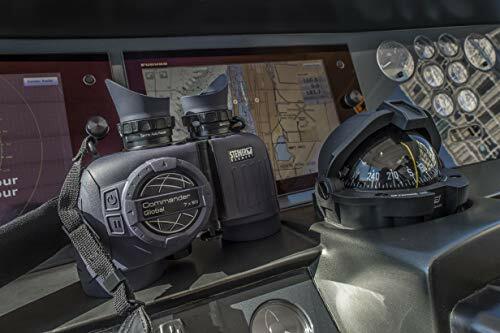 The ESSLNB IPX7 Rangefinder can be used for any outdoor activities such as hunting fishing and navigation & designed to meet military standards. With its night vision and illuminated compass, you can calculate the exact distance of an object at night or in low light conditions. The binocular has nonslip rubber housing for durability and temperature control & can be used in the harshest of weather. The Steiner Model 575 can be used on land and out at sea for any hunter or boatman enthusiast. With its shockproof design and temperature control, the Steiner Model 575 can withstand harsh conditions. The binocular gives a generous field of view and has an amazing exit pupil for clear bright images. It’s light in weight for those who carry binoculars for long periods of time. With all the same specifications of previous Steiner models, this design is more affordable. Although the Hooway model is the lesser known brand for marine optics, the brand doesn’t slack on the quality of this product. This binocular comes with all of the same specs as the more well-known brands but at a more affordable price. It’s lightweight and suitable for any outdoor activities. The Hooway is durable and can withstand any weather conditions. The rangefinder allows you to calculate the size and distance of any object. With its traditional Porro prism optics, it gives you an excellent field of view for optimal marine and inland viewing. 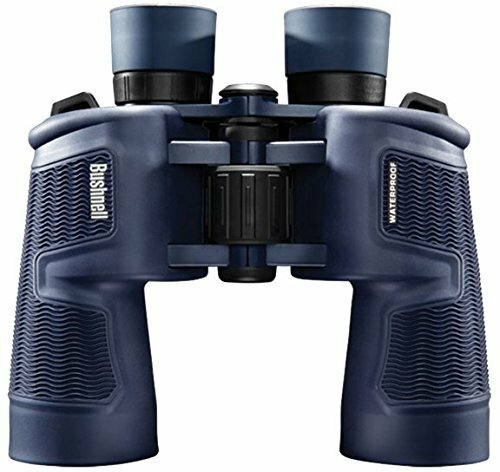 With its compact design, the Bushnell H20 Binocular is perfect for hiking and any form of outdoor activities. With its center focus wheel, you’re able to adjust the clarity of an image quicker without compromising the quality of your viewing. 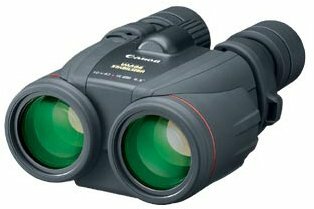 These binoculars come at affordable prices with all the specifications you need for inland or sea viewing. Marine binoculars are significantly different than standard binoculars, as they’re fundamentally used for outdoor water activities. Marine binoculars are water resistant as they’re filled with dry nitrogen to prevent condensation from forming inside the lenses. 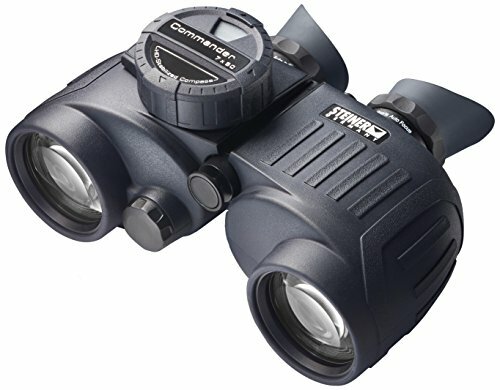 Marine binoculars have rubber armor to prevent them from sliding around and getting damaged when the boat is in motion. Another feature that separates marine binoculars from the standard variation is that they typically have a 7 x 50 magnification. This specification is intended for optimal focus when the vessel is in motion. Standard binoculars are manufactured in a variety of different magnifications, as the user doesn’t need to compensate for movement to obtain optimal focus. You wouldn’t want to use land held binoculars unless they have internal stabilizers. You would also run the risk of water damage with a standard pair of binoculars. 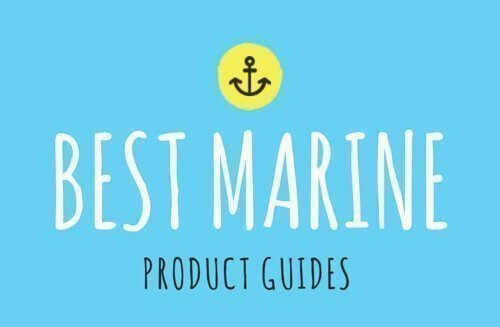 If you’re looking for the optimal marine binoculars, we will give you a brief description of some of the best-known manufacturers such as Bushnell, Steiner, Hooway, and Cannon. Bushnell is an American brand that specializes in a variety of optics. The company was founded in 1948 by David P. Bushnell, upon his return to California with two crates of binoculars, selling them off by mail order. Bushnell makes a variety of optics, from sportsmanship binoculars to tactical rifle optics and of course marine optics. The company has a vast number of well-known brands under its name, such as Simons Optics, Tasco, Blackwater Gear, and Primos. Steiner Optik was founded in Germany by Karl Steiner and specializes in military optics. In 1955 Steiner developed the Fero-D 12 Binoculars which he supplied to the military. Steiner Optik was one of the first companies to manufacture nitrogen-filled binoculars as well as a bearing compass and laser protection filters. 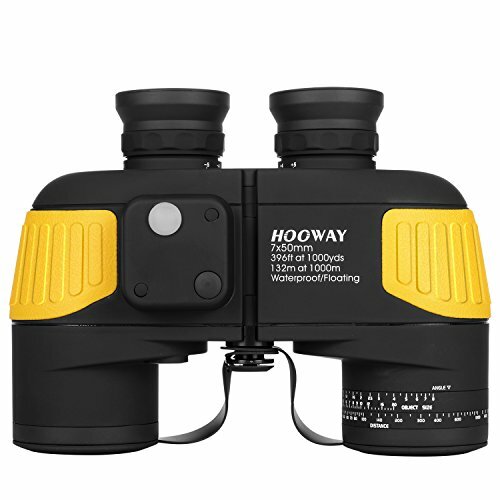 The Hooway brand specializes in marine binoculars that have the same specs and practicality other well-known brands have, while still maintaining affordability. Canon is a Japanese based company and specializes in manufacturing cameras, photocopiers, computer printers & binoculars. During the company’s development Canon had no means to make its own optical glass and so the company incorporated Nikon optical glass in its first camera productions. Canon incorporates image stabilization into its products which is essential for the functionality of marine binoculars. Image stabilization is a technique used to reduce blurring associated with the motion and it’s incorporated into cameras, video recorders & telescopes. The standard size for marine binoculars is 7 x 50 which means it has 7 x magnification and 50mm lens diameter. You will hardly find marine binoculars with a higher magnification than this because increasing the magnification increases the image shake. The 50mm lenses have a large opening which absorbs most of the light that’s reflected. The size makes it ideal for any weather and lighting conditions. Without binocular prisms, the image reverting back would show an inverted and reversed image. Light passes through these prisms before exiting the back of the binoculars so as to correct the image. Let’s look at the two different types of prisms. The Porro prism was named after Ignazio Porro who invented the prism system. The Porro prism alters the orientation of the image by reflecting light on two 45° surfaces returning the image in an upright position. A Porro Prism is necessary for binoculars because without them the images would be upside down and backward. The light reflected comes through six different prism parts in the design. The Roof prism has a reflecting prism of two parts identical to the shape of a triangle roof. The reflection returns an image that’s flipped crossways through the center line where the faces meet. The light comes through four different prism sections in a roof design, which makes it ideal because the fewer sections you have, the more light it transmits through the binoculars. Although the prisms are important when it comes to binocular manufacturing, the quality of the glass used to make these prisms is just as important. Which glass transmits the most light? Is the glass as reflective as possible? How much light loss the glass prevents. The BAK4 is made from barium, a type of crown glass considered to be used in most high-end binoculars. Binoculars made with this type of prism glass are highly sought after as the refraction of light gives a clearer and more colorful image. However, BAK4 is sometimes made out of phosphate crown glass which the Chinese produce and it’s of lower quality. BK7 glass is made of borosilicate crown glass and is highly reflective; however, it’s considered lower quality. This type of glass is found in both Porro and Roof binoculars. To identify whether your binoculars have BK7 glass prisms, hold them up to a bright light so that you can see the exit pupil. Tilt your binoculars in different directions. You will usually see a square shape in the middle of the exit pupil. Eye relief is the distance from your eyes to the actual lenses of the binoculars. The distance of the eye relief helps if you wear spectacles. Some binoculars have a dioptric adjustment setting that allows the viewer to adjust the focus to their eyesight. This gives you the option to use binoculars with or without your glasses. Binoculars also feature eyecups which help if you wear spectacles as well as blocks out peripheral interruptions when viewing. The eyecups are usually collapsible allowing you to share them with other users that don’t wear glasses. The field of view is the width of an image at 1000 yards. The eyepiece design, as well as the power of magnification, can affect your field of view. The higher the magnification and the smaller the eye relief, the narrower the field of view will be and it will make tracking targets & objects a lot more difficult. A larger field of view is desirable if you’re viewing an image in motion such as birds or if you’re on a boat or in a car. However, a wider field of view may reduce the sharpness of an image. A center focus has an adjustment wheel in the center of the two oculars. The wheel changes the focus of both eyepieces at the same time. Most binoculars have diopter adjusters allowing the viewers to change the focus according to their eyesight. An individual focus allows the viewer to change the sight of the eyepieces independently. Mariners will sometimes use individual focus binoculars as it allows them to adjust each eyepiece to precision. It’s not optimal to share these binoculars as it’s custom adjusted to suit one’s reference for viewing. Lens coating is essential if you want the finest viewing experience, regardless of what you will be using them for. Thin layers of coating are applied to the lens surface to reduce reflection and glare. Coatings can help increase light contrast and transmission. Prism coating increases light reflection and improves image brightness and contrast. Some binoculars will have high-end coatings called dielectric coatings which allow higher contrast images due to the increased light transmission. There is another type of coating called phase correcting coating which is only used on Roof binoculars. The way roof binoculars reflect light is slightly out of balance, so this coating is used to correct the color improving contrast and clarity. To maintain durability all marine binoculars come with armor made of polycarbonate rubber. 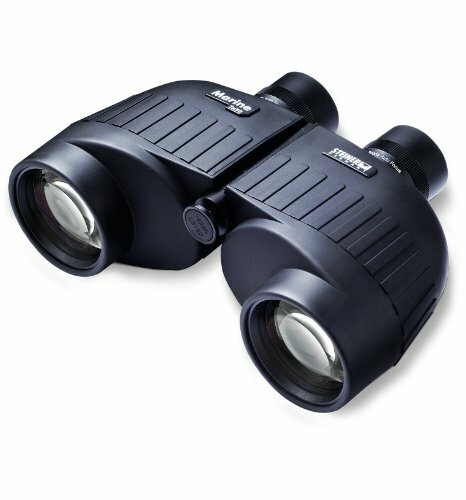 The temperature resistant rubber helps protect the binoculars from sliding around in a moving boat. The rubber coating gives the handler a firmer grip when viewing. When buying a pair of binoculars, you have to consider what sort of environmental resistance they have. 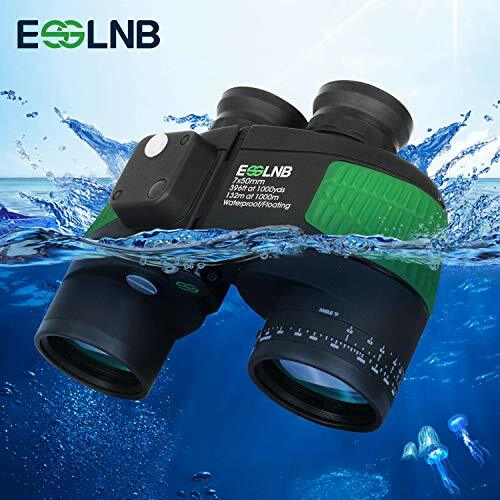 The ideal type of marine binoculars to use is a waterproof and weather resistant model. These binoculars are sealed with O-rings to prevent water from getting inside. Marine binoculars should be able to float. If they don’t float, consider getting floating straps. Binoculars are filled with either nitrogen or argon gas to prevent condensation from occurring inside the binoculars. These dry gasses are pressurized into the binocular tubes to keep the O-rings and gaskets firmly in place & to keep the lenses dry inside. This type can be used in most weather conditions as they are sealed off to prevent water and temperature damage. However not all-weather resistant binoculars are durable on the outside, so it’s important to pick a pair that is not only weather resistant but environmentally durable as well. Some marine binoculars have built-in compasses. The compass can either be digital or an illuminated feature; however, most compasses will only function in the Northern hemisphere. Rangefinders have built-in infrared lasers that measure the distance of an object in either meters or feet. This feature can be used to measure how far you are from land. Rangefinders can measure the distance of any moving object such as ships and sea life. Stabilizers are used to steady an image when you’re on a moving vessel such as an aircraft or a boat. Stabilizers require either a pendulum or gyroscope to work. This function can be used to reduce distortion of images when you increase the magnification. Stabilizers can also come with night vision, allowing you to see images at night. Based on what sort of marine expeditions you will be going on you need to select the perfect type of binocular for your application. Think about a multitude of aspects depending on the area you’re going to be in as environment and lighting can change at in any moment. Durability is essential as you don’t want to pay for binoculars that will break easily. You can easily purchase a pair of binoculars of high-end quality at an affordable price. All you need to do is brush up on your knowledge of prism, the field of view and optics specifications and you will be able to identify the correct kind of binoculars to suit you. Whether you’re a military trained marine or you’re a novice adventurer there are binoculars for you. Which set will it be?